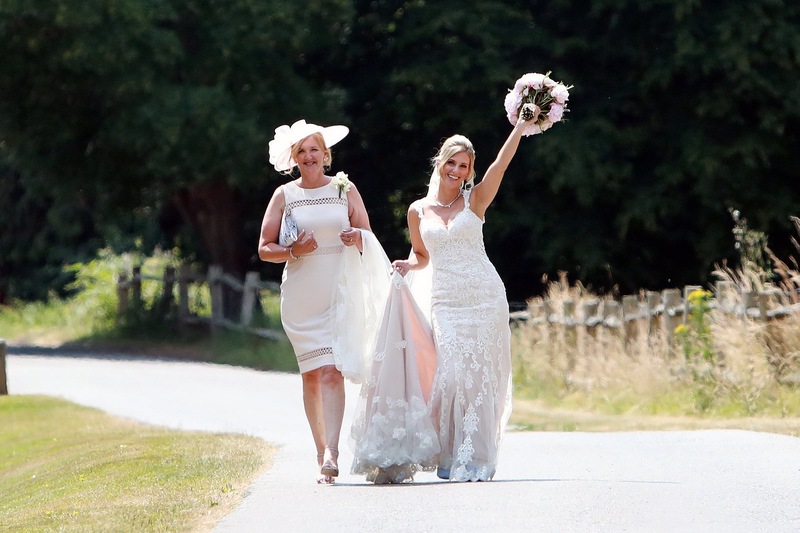 Our beautiful bride Kirsty came to us in 2017 with a summer wedding happening in beautiful Sussex in July 2018. 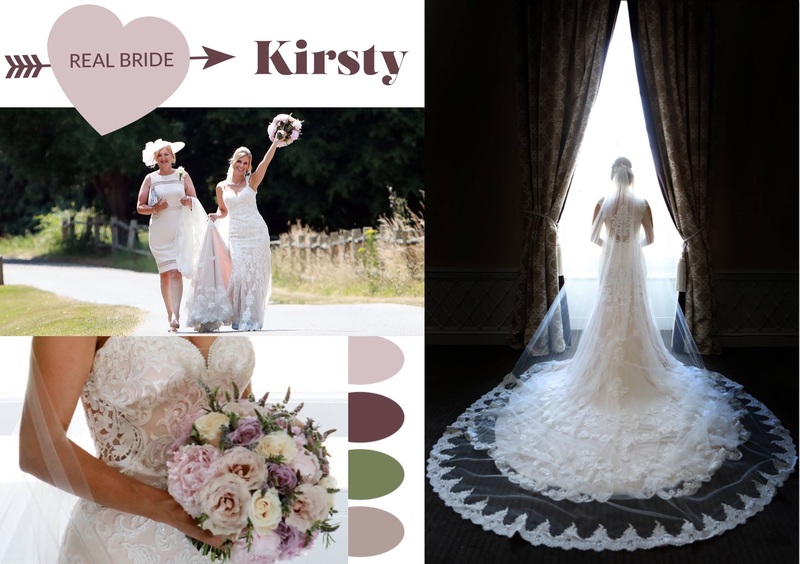 We love the peony palette she chose to complement this beautiful blush dress! Kirsty came to us with a sample Essence of Australia dress. Although the dress was stunning, it was 2 sizes too large for her. Of course, we were up for the challenge! The dress underwent a full refit and was given some TLC all over. 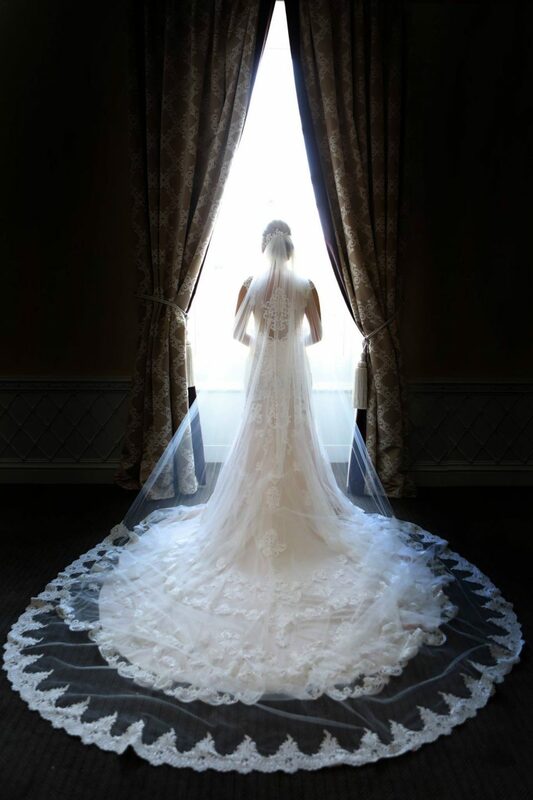 We then designed a cathedral veil with lace edging, to match the dress and add the wow factor to the look. The 4 metre long veil was designed to visually extend the train, and when worn looks like a 4th tier of the train. 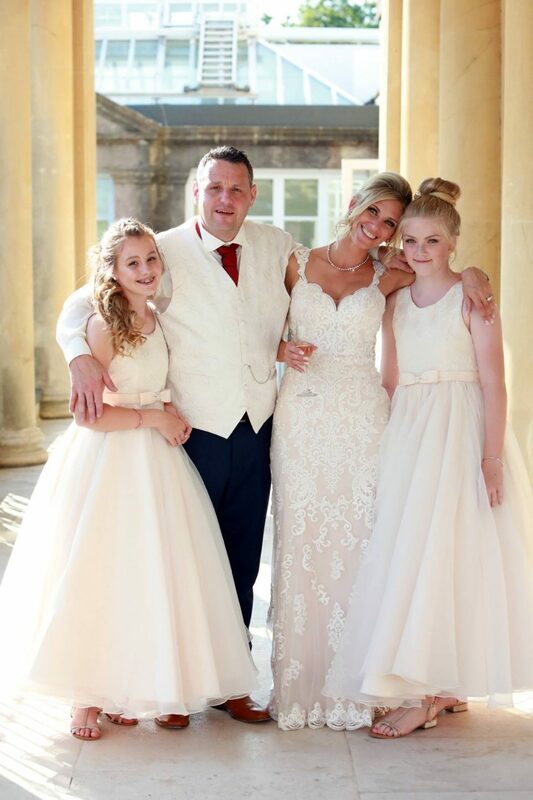 "Lee proposed at home Christmas Day 2015 when it was just us and our children. It was perfect! I started looking for my dress in the summer of 2017 and found ‘the one’ in the first shop I visited. I didn’t feel the need to shop around as loved it so much. Although I didn’t set out to have a blush dress, I loved how it complimented my skin tone. As my mum wore blush on her wedding day, it was that little more special too. 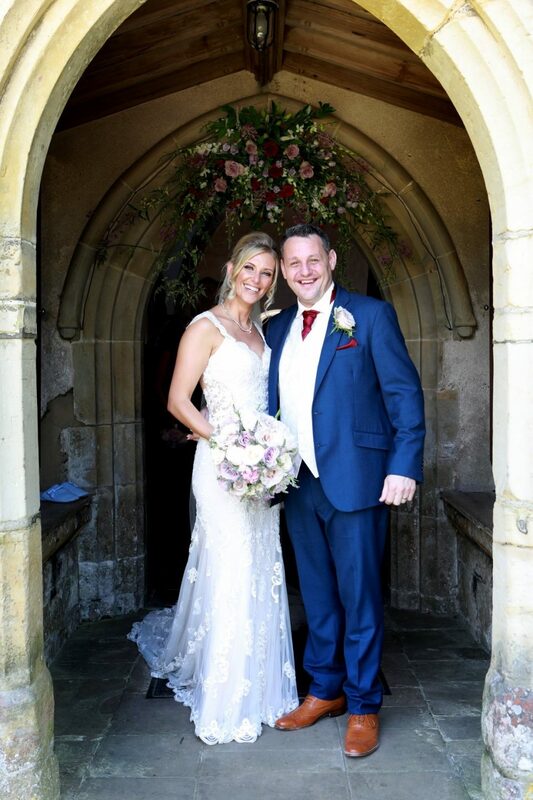 On the day, it was exactly how I envisioned my dress to be, however, I never pictured myself looking or feeling quite so bride like!" 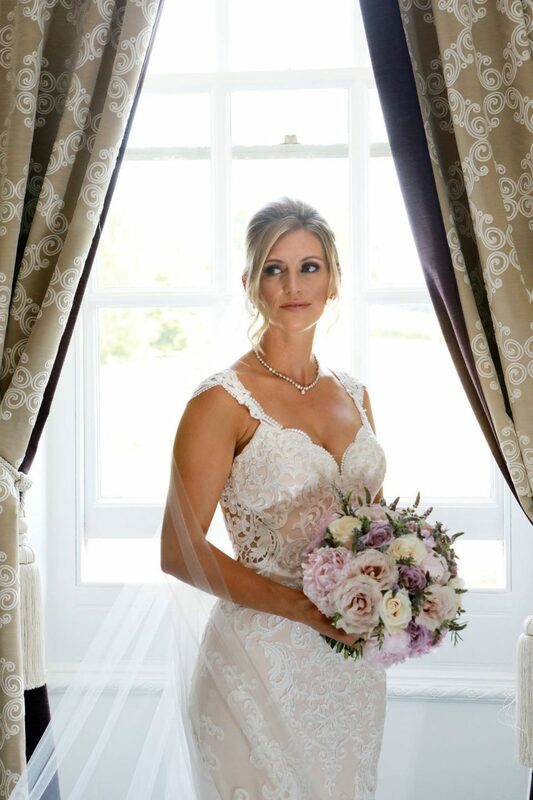 "I would thoroughly recommend Delphine if you would like your special dress made or need any alterations to a dress you have already purchased. My dress needed significant changes as I am very short in the body and bought a sample dress a few sizes bigger than I am. Delphine reassured me from the start that I'd chosen the right gown for me and was committed to making it just perfect for me. Delphine is a highly skilled designer and seamstress and had I had enough time I would have loved for her to design and make my dress bespoke. She ensured I was able to move comfortably and that I would have any issues such as straps sliding off etc. Delphine also made me a veil to try, with the option of not having this if I wasn't sure about it. It was, of course, perfect and just as I'd asked. I cannot stress the importance of having someone you trust making changes to a gown you have dreamed about and invested a lot of money in. The quality of her work is exquisite and in my opinion, she undercharges for this. I have recommended Delphine to several friends and will continue to do so."